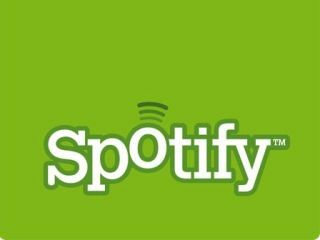 Spotify is set to offer offline versions of its playlists to PC users as well as those on mobile phones. A keen-eyed Twitterer spotted the clause in the Terms and Conditions of the new mobile app, stating that up to three PCs can stored the cached songs. This means that laptop users, particularly those without a roaming Wi-Fi connection, will be able to take their tunes with them on the go if they don't have an Android device or an iPhone. "As a subscriber to the Premium Service, you are permitted to store such cashed content on up to three PCs. If you are a subscriber to the Mobile Premium service, you are permitted to store cached content on up to three PCs and three mobile handsets," read the T&C's. "You may not transfer copies of cached content to any other device via any other means." At least Spotify is making its premium account more attractive - although it's likely Napster will be annoyed that it couldn't make the same service work three years ago.